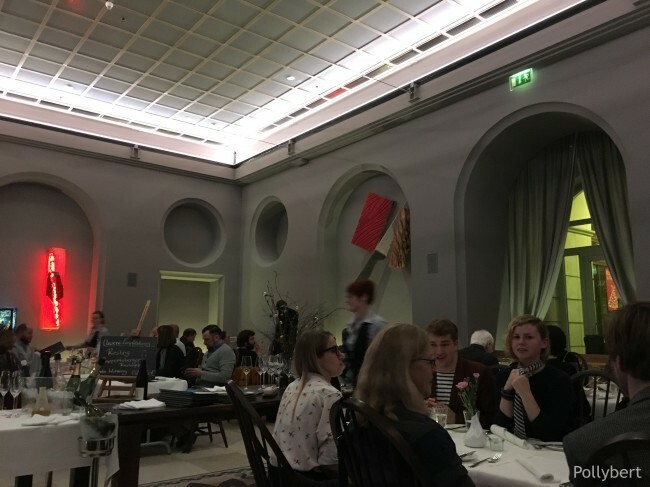 On a recent trip to Leipzig I had the pleasure of dining at Max Enk restaurant. We had something to celebrate and this restaurant looked like the perfect location on this occasion. The dining room is minimalistic with only a couple of art pieces on the wall. The otherwise puristic room looks severe with grey walls and tables decked out in white. Because of the lack of sound absorbers and the size and height of the room, the acoustic is inadequate. 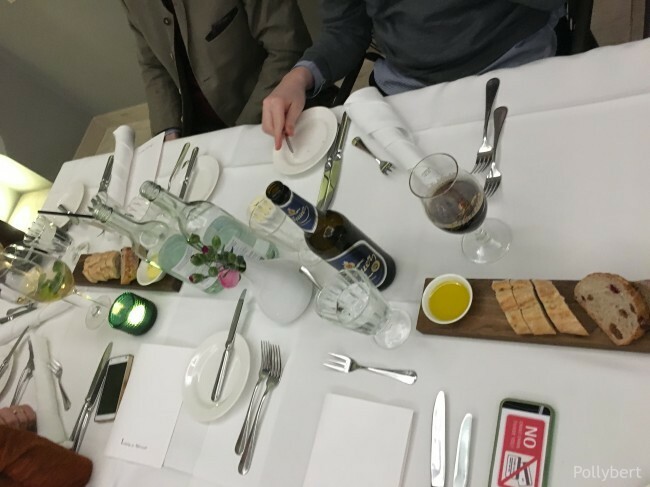 Due to the size of our group we had a reduced menu with only a handful of starters, main courses and desserts. Nevertheless there was something for everyone and even our two vegans found something to eat (with a little flexibility by the kitchen). 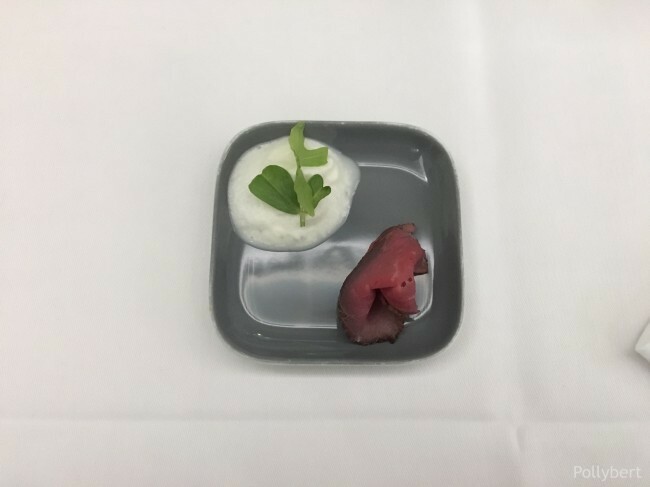 The amuse gueule was a slice of Tafelspitz with white asparagus foam. The bite size teaser was delicious. 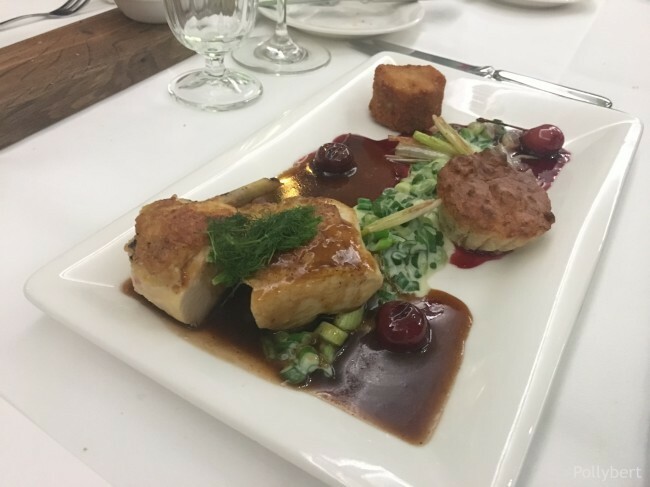 The meat was tender and juicy and the foam worked really well with it. The essence of the asparagus was clearly there. I started with a cream of taleggio cheese. 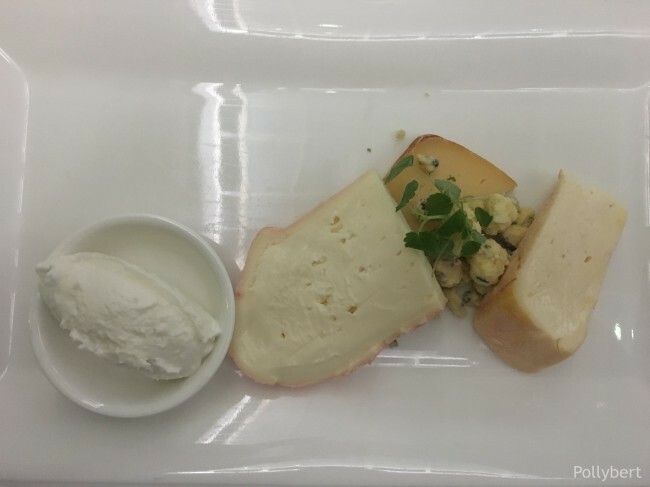 The cheese was soft and creamy with not a hint of the dreaded rubber-like consistency. It was served with spiced lentils and a salad with herbs. The combination worked well except for the raisins in the lentils. Two or three with this portion size would have been enough. Someone was definitely too eager in the kitchen on behalf of the raisins. 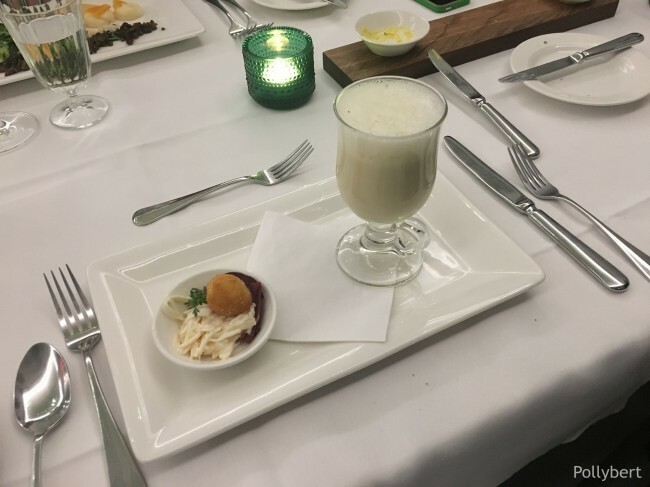 The other starters were a parsnip soup with truffle foam, served with a baked quail egg and deer ham. Even though this sounds overloaded the presentation was minimalistic. The silky texture of the soup was delicious, the egg just waxy and the ham melting in your mouth. 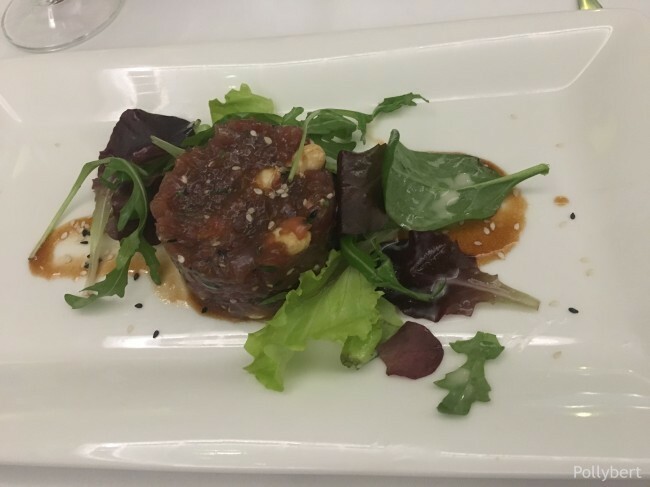 The tuna tartar got also great reviews. My neighbour though removed the peanuts from the tartar. The nuts were added whole and didn’t do anything for the tartar. 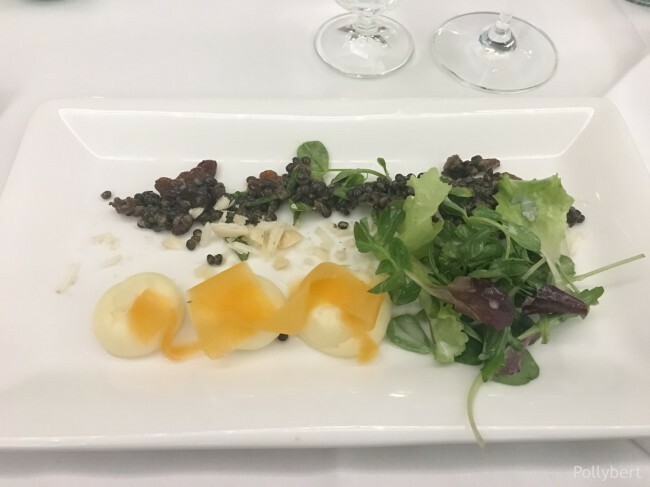 The salad was the same as for the cheese course. Looking at it I can’t really see any herbs. Not sure if there were any in it in the first place. My main course was beef tenderloin with rosemary potatoes and seasonal vegetables. I am not sure about the presentation of the steak. It looked a bit lost on the cutting board. But this is the only complaint I have. 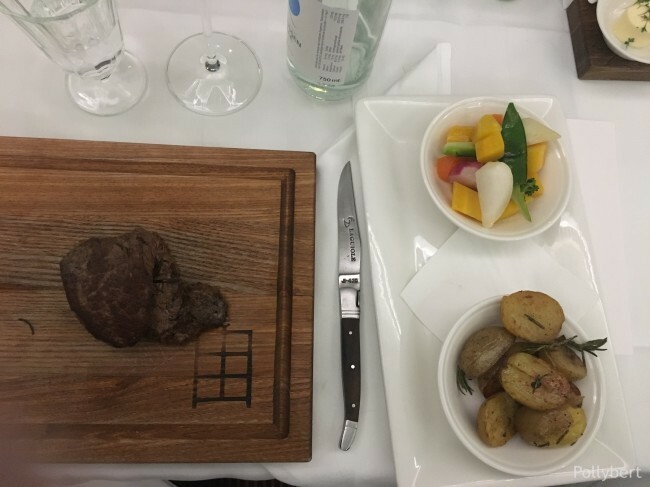 The steak was perfectly cooked, the vegetables still had a bite and tasted of butter and the potatoes had a nice crust and the amount of rosemary. It was served with a steak sauce on the side which was not really needed. The steak tasted perfect the way it was. 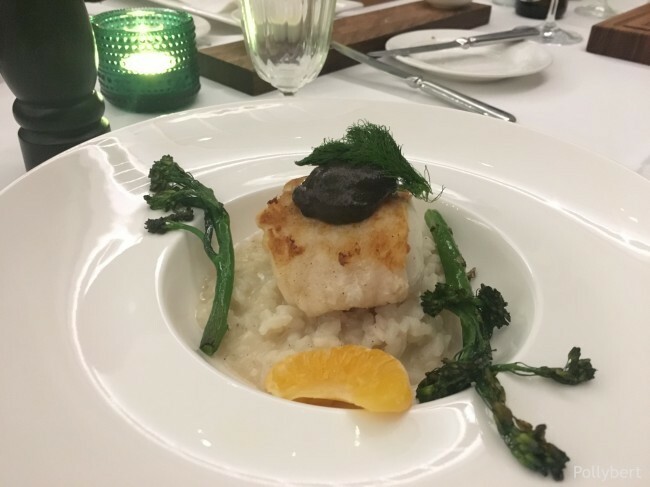 The angler was served on a bed of vanilla risotto with black nut pesto, mandarins and broccoli. The fish was great, flaky and tender. The risotto on the other hand tasted a bit of rice pudding. And the nut pesto didn’t do anything to enhance the dish. The only dish which didn’t work was the chicken. Weird in a way because chicken is usually such a safe bet. Not in this case. The chicken managed to be juicy and dry at the same time. I know it almost sounds impossible but it’s the truth. Taking a bite it was juicy on the tongue but once you started to chew it got bone dry. Interestingly enough it also was tasteless. It reminded me a bit of the chicken as seen in ‘The Wing or the Thigh‘ with Louis de Funés. In this movie the chicken meat was some kind of a foam which was spread over the bones and then spray painted to resemble roast chicken. The vegetables served with the chicken though were very tasty as well as the parmesan soufflé. The cherries suffered the same fate as the nut pesto, they were superfluous. The desserts fared better. 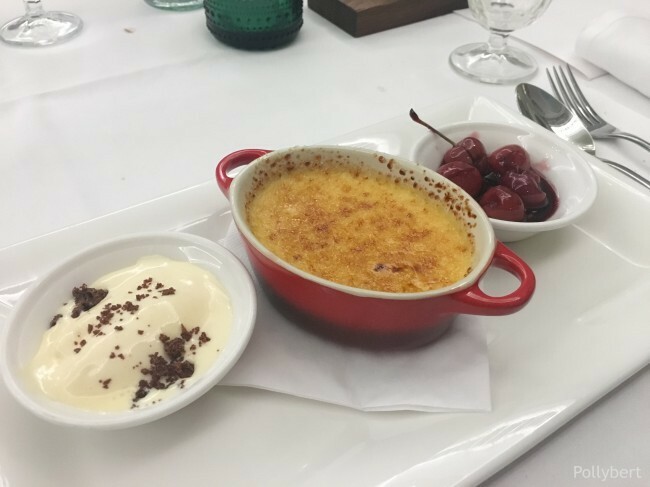 The créme brûlée had the customary crunch on top and a smooth texture underneath. alongside were white chocolate ice cream and cherries. Another available choice was sorbet in three flavors. Calamondin, pink grapefruit and Cassis fig got good remarks but the presentation was off. 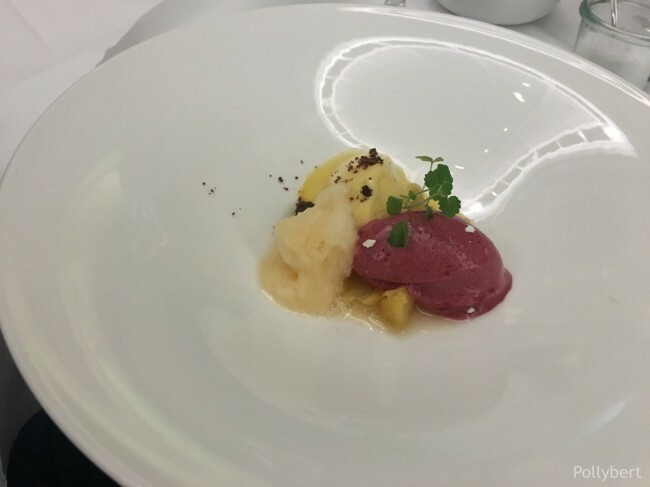 How come the sorbet gets served already melting away when the kitchen had reduced our menu to a bare minimum? 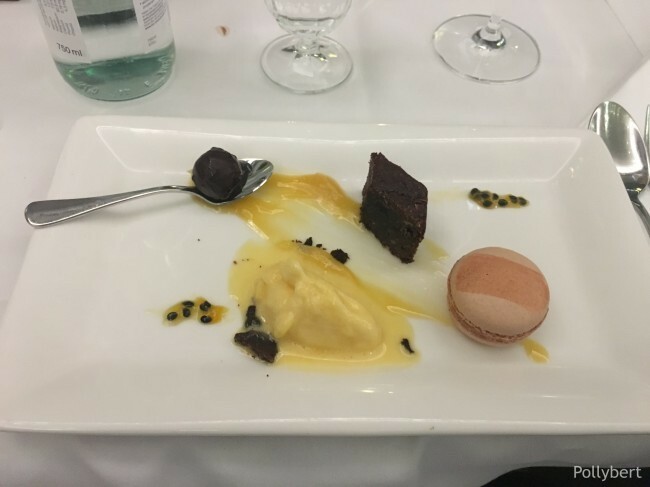 Since neither available dessert tickled my fancy I asked for something chocolatey and got a combination of brownie with passion fruit ice cream and a macaroon. The filling of the macaroon was salted caramel. It tasted heavenly. With a taste like this it is easy to overlook the slightly too mellow crust of the macaroon. The brownie on the other hand didn’t fare that well and the presentation was just sloppy (really, the plate looked like this when I got it!). Regardless, the passion fruit sorbet was outstanding. 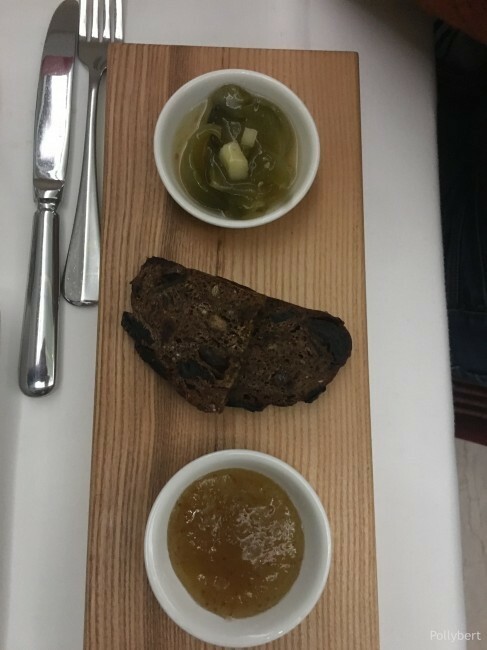 We also ordered one cheese course. Two of the cheeses, the smoked cheese and the Stilton, were delicious but it was the fig mustard which earned rave reviews. I was able to taste it and can only confirm it. Fabulous! 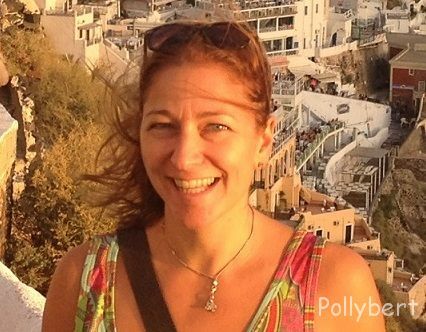 dining abroad, dining in Germany, dining in Leipzig, Europe, fine dining, Germany, Leipzig, local food, restaurant review, traveling Europe. Bookmark.